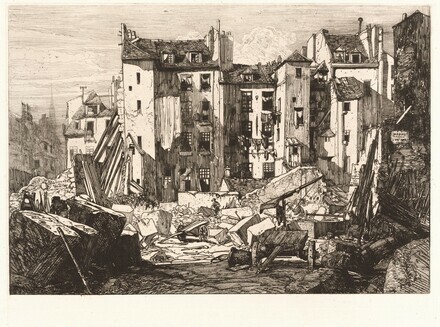 Prints by James McNeill Whistler and His Contemporaries, National Gallery of Art, Washington, 1995, as Demolition for the Opening of the rue des Ecoles. Bailly-Herzberg, Janine. L'eau-forte de peintre du dix-neuvieme siecle; La Societe des Aquafortistes 1862-1867. Paris, 1972: 199.